Wondering where your favorite foods fall on the Glycemic Index chart? The convenient listing here can help you keep your blood-sugar levels under control. Where do apples and oranges land on the Glycemic Index chart? How about kiwis, strawberries, and blueberries? The answers are below. The standardized Glycemic Index ranges from 0 to 100. Zero-glycemic foods—those without carbohydrates—include items like cheese, eggs, meats, fish, oils, and nuts. Low-glycemic foods have a glycemic load of 55 or lower and include most fruits and vegetables, beans, dairy, and some grains. Foods such as bananas, raisins, and sweet potatoes are considered to be medium-glycemic foods and are ranked between 56 and 69. High-glycemic foods are ranked at 70 and above and include table sugar, ice cream, and other heavily processed foods that are high in calories and fat. 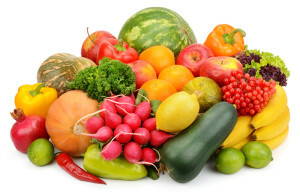 It’s basic but proven advice: To be your healthiest self as you age, make sure your diet is rich in fruits and vegetables—and avoid high-sugar foods, high-salt foods, high-fat foods, and processed foods in general. As we’ve already discussed, the glycemic index (GI) is a numerical system that measures how much of a rise in circulating blood sugar a carbohydrate triggers—the higher the number, the greater the blood sugar response. The glycemic load (GL) is a relatively newer and better way to assess the impact of carbohydrate consumption on your blood sugar. The glycemic load gives a fuller picture than does glycemic index alone; it takes into account how much carbohydrate is in a serving of a particular food. You need to know both GI and GL to understand a food’s effect on blood sugar. Another example is beans. Lentils or pinto beans have a glycemic load that is approximately three times lower than instant mashed potatoes, for example, and therefore will not cause large spikes in blood-sugar levels. Stabilizing your blood sugar is accomplished by lowering the overall glycemic load of your diet. Actually studying the glycemic loads of various foods is an interesting exercise, but it isn’t necessary as long as you eat regularly, choose the right carbs, and avoid white flour and sugars. 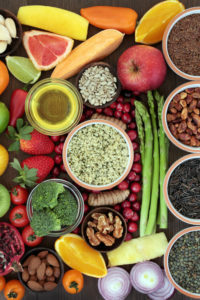 Fran C. Grossman, RD, MS, CDE, CDN, Nutrition at the Ichan School of Medicine at Mount Sinai, answers a common question about low glycemic index foods. Q : A friend has managed to control her diabetes by following a “GI diet.” Can you shed light on what she means, since I don’t think she is referring to the “Meals Ready to Eat” used by the military! A: Your friend is definitely not referring to MREs! It sounds as if the diet she’s following is based on what’s called the “Glycemic Index,” or GI, which is a measure of a food’s ability to raise blood sugar levels compared with a reference food (either glucose or white bread). High GI foods—which are assigned a value of 70 and above—cause blood sugar to spike, which may contribute to poor eating behaviors. Low GI foods (with a value below 55) cause blood sugar to rise more slowly, which helps regulate the appetite. Studies suggest that following the GI diet may help diabetics better manage their blood sugar, and there also is evidence the diet may help people maintain a healthy weight. This is likely because the diet prioritizes unrefined grains, which are low in calories, and fiber-rich—because fiber takes longer to digest, the GI diet may help you feel fuller for longer, meaning you’ll be less likely to snack between meals. However, the diet can be tricky to manage, since a food’s GI can change depending on how it is cooked or processed, and if it is eaten with other foods. Ed. note: You can find out more about the GI at this National Institutes of Health page and at this Science Daily page. almonds, appetite, blood sugar, blood sugar levels, calories, carrot juice, carrots, cauliflower, chocolate, cooking, corn, corn syrup, dairy, dairy alternatives, dates, depression, diabetes, diabetics, diet, ed, exercise, fiber, food, for depression, garlic, glucose, gluten, gluten free, gluten free bread, Glycemic index, glycemic index gi, glycemic load, health, healthy weight, high glycemic, high glycemic foods, high glycemic index, honey, kale, low gi, low gi foods, low glycemic foods, low glycemic index, low glycemic index foods, milk, nutrition, nuts, peppermint, potatoes, processed foods, protein, quinoa, serving size, soy, soy milk, spinach, sugar, sugar levels, the gi diet, the glycemic index, vegetables, wheat cereal, whole grain, whole wheat, yogurt. I’, not seeing strawberries or quinoa. Where do they stand? Simply wish to say your article is as surprising. The clearness in your post is simply cool and i can assume you are an expert on this subject. Why aren’t prunes listed on any chart? Hi Chuck, we weren’t able to include all foods in this chart, however, prunes would be categorized as having a low glycemic index with a rating of 29. Thank you for reading! Why have you not included glycemic load for perspective here? You know that watermelon is high in GL but low GL. Why have you not included GL?! Hi William, thank you for reading! I’ve included a new section about glycemic load and we’ll have additional articles about GL posted on UHN in the near future. Thanks again! I would suggest GI and GL on the same line for comparison. Also, what about the question re GI of glucose, which is supposed to be the standard at 100? The table would be helpful for users if it could be ordered on-demand. Example – create one large table with columns (GI-Group, Food-Group, Food-Name, GI-num) then clicking on column heading and that orders food by that column (low to high or high to low) then its easier to use table for meal planning (food to be used in meal) or meal checking (food used in meal). Otherwise the table is just complicated and unnecessary list which is hardly used in real life. Thank you for making this valuable resource available. Would I be right to assume the serving sizes used in your trials were based on what is published in a USDA nutrition guide? For example, the info for a generic apple corresponds to a 100mg serving. A proper understanding of the GI enables a straightforward calculation of the GL, which is beyond valuable to me as a type one diabetic. Thanks for explaining the difference between GI and GL. Too bad dieticians do not elaborate. All three GI charts have now been updated with serving sizes and correct numbers using the GI Database compiled by the University of Sydney. Thank you! Am assuming broccoli and celery and to low on the glycemic index to be put on the chart. why does low fat ice cream have a higher gi number than reg french vanilla ice cream ? Hi Stephen, thank you for your comment! One of the factors that affect a food’s glycemic index is the amount of fat it contains. The more fat a food contains, the longer it takes for your body to convert it into sugar. Therefore, ice cream with a lower fat content may have a lower GI number that one with a higher fat content. Also, the more sugar a food contains, the higher its GI. Low-fat ice cream tends to contain more sugar than other varieties because the extra sugar compensates for the lack of flavor that fat normally provides. Peaches are also listed in low and medium. You have peaches canned in syrup as low GI and a general peaches, but a fresh peach as medium…? I don’t know if I fully trust this with all the errors noted and what I picked up after a quick browse. Hi Angela, we apologize for the peaches error. That error (as well as the earlier ones) have been fixed. Thanks again. Hi- Is there a complete listing of foods with their complete GI and GL which I could buy? This is second chart that I have checked. No GI posted for “peas”!! Do you know what that is or where I might find the answer?? Thank you. Misleading. I’m not sure what these figures represent — glycaemic load, perhaps — but they are _not_ glycaemic indices. The index, by its nature, does not depend on the portion and quoting a wide range of portion sizes while claiming to give glycaemic indices is going to lead to confusion. I’m also not sure what University Health News is but I am assuming it’s nothing to do with any university. It certainly shouldn’t be. You could probably put this right by dividing all the numbers you give by the masses of the corresponding portion size and mulitplying by whatever constant you derive from looking up the index for one of the foods listed. What kind of soy milk?? Plain or the kind with sugar and or vanilla added? Whats in the homemade pancakes??? My mothers ingredients or yours??? Or a million other versions??? If your a diabetic and you follow this chart with blind belief you are stupid. I follow W30, now I’m fully Type 2 and eat this way to handle gut and inflammation issues. How do I get help to stay on W30 and deal with Type 2? I am an active Cardiac Rehab Phase 3 exerciser and walk so exercise is not my issue. My carbs are limited and I do not eat grains, legumes, sugar, alcohol, or dairy while on program but have very limited intro for legumes, grains and dairy since they kill my gut and cause inflammation issues. I hope everyone who thought this is a great chart looked for other charts too afterwards or asked their doctor for advice. This chart has so many errors. Pound cake is 50 on the GI?!?! So, low GI. Such a lie. That is only one example. If anyone follows this chart for their diet daily and has a medical condition with a blood sugar problem, ot will make their health SO MUCH WORSE. I can hardly believe the irresponsible carelessness of whoever published this.